Simon Woodhams was born in the UK but grew up in Mombasa, Kenya. He went to Cranleigh School near Guildford and then St Thomas’ Hospital Medical School. He then completed higher surgical training through Guy’s Hospital also working at Winchester, Chertsey, Worthing and Brighton. He was awarded his Certificate of Completion of Specialist Training in 2000 and spent a fellowship year in Brisbane, Australia, developing his interests in Urological Cancer Surgery before taking up his Consultant post at Worthing. 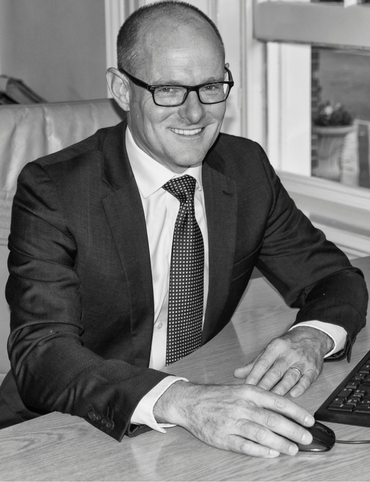 Simon is a busy general Urologist with interests in prostate, bladder and kidney problems. He is also a leading local cancer surgeon having operated over a number of years in the cancer centres at Brighton and Eastbourne performing radical prostatectomies and cystectomies. In 2015 he joined a team of 4 other surgeons in Guildford to jointly undertake robotic cystectomy on 2 newly acquired Da Vinci dual console robots. Their experience is now recognised as setting the standard for the rest of the country with length of inpatient stay for this complex surgery being as low as 3 days. Simon is also the Clinical Director for Cancer Services for Western Sussex Hospitals Foundation Trust. His other major interest is in surgery for benign prostate enlargement where he has been unique position to have offered Greenlight Laser Prostatectomy and Holmium Laser Prostatectomy but over the last few years he has favoured TURis bipolar prostate resection. Simon is also able to offer Rezum Steam Treatment for enlarged prostates. He has been a pioneer for day case prostatectomy setting up the only stand alone facility for this surgery in the country. His expertise in TURis prostatectomy is widely recognised; he has spoken on the technique at national urological meetings, on national radio and his experience has been the subject of an article in The Daily Mail. Simon also leads the teaching of prostatectomy to junior surgeons at teaching courses at the Royal College of Surgeons. Simon is married to a local Storrington village GP and has 3 daughters. He enjoys road cycling having completed the Etape du Tour on 3 occasions and is a keen surfer and windsurfer. Clinical Availability: Mon 2-8:30 pm and by arrangement for emergencies. – Consultant Urological Surgeon Western Sussex Hospitals Foundation Trust (Worthing Hospital, Southlands Hospital and St Richard’s Hospital, Chichester).